The NCCN Annual Conference: Advancing the Standard of Cancer Care™ attracts more than 1,700 registrants from across the United States and the globe including oncologists (in both community and academic settings), oncology fellows, nurses, pharmacists, and other health care professionals involved in the care of patients with cancer. Respected opinion leaders present the latest cancer therapies and provide updates on selected NCCN Clinical Practice Guidelines in Oncology (NCCN Guidelines®), the data upon which the NCCN Guidelines® are based, and quality initiatives in oncology. Topics change annually but focus on the major cancers and supportive care areas. This educational program is designed to meet the educational needs of medical, surgical, and radiation oncologists; nurses; physician assistants; pharmacists; case managers; tumor registrars; pathologists; and other healthcare professionals who manage patients with cancer. National Comprehensive Cancer Network designates this live activity for a maximum of 6.25 AMA PRA Category 1 Credits™. Physicians should only claim credit commensurate with the extent of their participation in the activity. National Comprehensive Cancer Network (NCCN) is accredited as a provider of continuing nursing education by the American Nurses Credentialing Center’s (ANCC) Commission on Accreditation. NCCN designates this educational activity for a maximum of 6.25 contact hours. Accreditation as a provider refers to the recognition of educational activities only; accredited status does not imply endorsement by NCCN or ANCC of any commercial products discussed/displayed in conjunction with the educational activity. 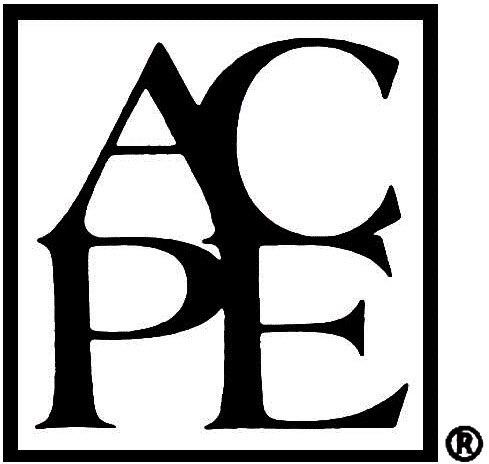 National Comprehensive Cancer Network designates this continuing education activity for 6.25 contact hour(s) (0.625 CEUs) of continuing education credit in states that recognize ACPE-accredited providers. AAPA accepts certificates of participation for educational activities certified for AMA PRA Category 1 Credit™ from organizations accredited by ACCME or a recognized state medical society. Physician assistants may receive a maximum of 6.25 hours of Category I credit for completing this program. This program supports 6.25 CE hours and has been assigned the following event number: 2016-033. This program has been pre-approved by The Commission for Case Manager Certification to provide continuing education credit to CCM® board certified case managers. The course is approved for 6.25 CE contact hours.